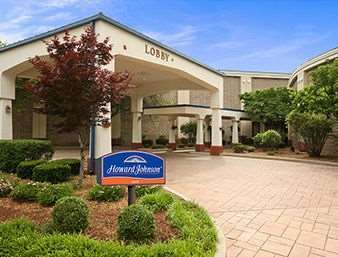 Take the family on a fun-filled trip to this Howard Johnson Inn and Suites Springfield located on Highway 29 near Abraham Lincoln Capitol Airport and Amtrack stations with a complimentary shuttle service. Just minutes from this lodging you will find the Abraham Lincoln Presidential Library and Museum, Lincolns New Salem State Historic District Site, and Oak Ridge Cemetery with the Lincoln Tomb and War Memorials. Tour the Old State Capitol, Illinois State Fairgrounds, or shop nearby. Refuel at Cafe Brio or Saputos Italian Restaurant both just two miles away. Wake up refreshed to a complimentary Rise and Dine continental breakfast, then splash in the seasonal outdoor pool or lounge on the deck with a complimentary newspaper. Book your next event in the meeting space with business center. Plan your exciting day from the comfort of your guest room with complimentary wireless Internet access. Suites, smoke-free and handicapped-accessible rooms are available. Pets are welcome.